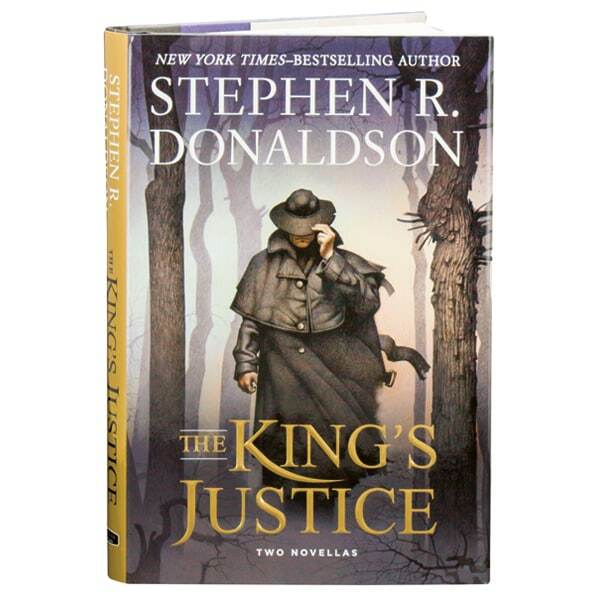 In his first book since the completion of his 10-part Thomas Covenant chronicles, World Fantasy Award winner Stephen Donaldson presents two novellas. In The King's Justice, a stranger dressed in black arrives in the village of Settle's Crossways, following the scent of a terrible crime. Though he seems to possess the ability to make people wish to cooperate with him, this gift will not be enough to save him as he discovers the nature of the evil concealed in Settle's Crossways. The Augur's Gambit concerns a mad attempt to save queen and country by Mayhew Gordian, Hieronomer to the Queen of Indemnie. Having read the signs, Gordian knows his island nation is doomed, but the Hieronomer is utterly loyal to his beautiful queen—and to her only daughter—and even in the face of certain destruction, a man may fight.